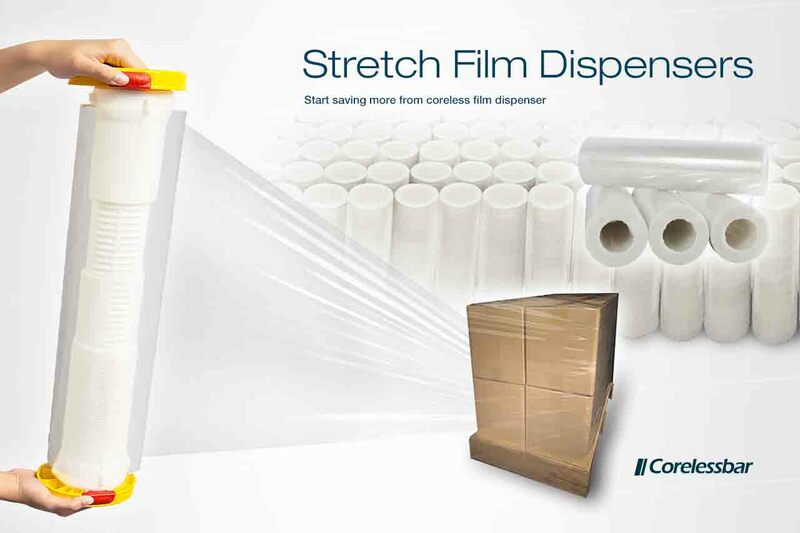 Excell is leading the industry with its innovative Stretch Film Dispensers. Our Film Dispensers integrate ergonomic features to minimize hand- fatigue and maximize handling comfort. Excell's Stretch Film Dispensers provide greater control over film tension, which in turn reduces film wastage. Built with durable metal frames and high impact plastic bodies, these dispensers are made to last. We provide Stretch Film dispensers range from light-weight, office use to industrial adjustable wrappers. Nevertheless, we have invented the newest CORELESSBAR stretch film dispensers. It is designed lightweight to carry coreless films. The future of stretch film industries, we have got it.